I submitted my DNA to FamilyTreeDNA.Com, under the Jessup surname project, which includes our Jesse, Jessie, and Jessee surnames as variants. 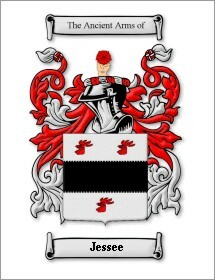 If indeed my Jessee male line is unbroken, then all John Jessee male descendants should have the same. The Jessee Y DNA Haplogroup is R1b1b2. From Wikipedia, the free encyclopedia and FamilyTreeDNA resources. In human genetics, Haplogroup R is a Y-chromosome DNA haplogroup, a subgroup of haplogroup P, associated with the M207 mutation. Origins: It is believed to have occurred somewhere in Central Asia between 30,000 and 35,000 years ago. Distribution: The majority of members of haplogroup R belong to the Haplogroup R1, defined by marker M173. R1 is very common throughout Europe and western Eurasia. Its distribution is believed to be associated with the re-settlement of Eurasia following the last glacial maximum. Its main subgroups are R1a (SRY1532) and R1b (M343). One subclade of haplogroup R1b, R1b1b2-M269, is the most common haplogroup in Western Europe. [We, in fact, descend from Cro-Magnon man-Jim]. The above assures us that our Jessee male ancestors were of recent European origin, with high probability that our Jessee male ancestors came from the British Isles. England, Ireland, Scotland, and Wales are all in the hunt.